Amon Amarth is inmiddels niet meer weg te denken uit het metallandschap. Met elk uitgebrachte album is deze Viking metal band gegroeid. 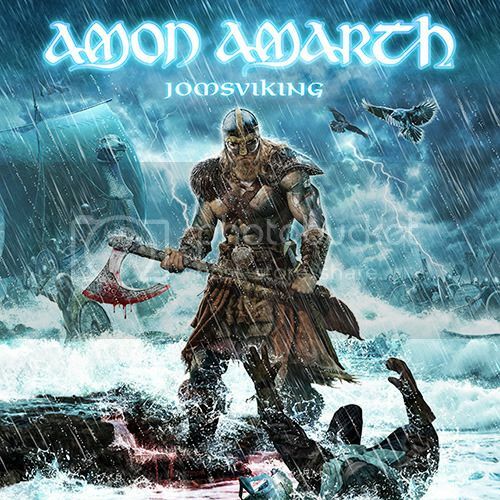 Nu staat het tiende studioalbum van de band, ‘Jomsviking’, alweer klaar om op vrijdag 25 maart uitgebracht te worden. Wij spraken gitarist Olavi Mikkonen over dit nieuwe conceptalbum, de samenwerking met Doro Pesch en meer! Q: Congratulations on the new album! I’ve listened to the new record and it sounds great! With ‘Jomsviking’ coming up, four release shows are planned. What made the band plan only four shows? Olavi: We have never done a release show with the band and we wanted to try something different. It is very good to have a warm-up for a big tour and be closer to the audience trying new songs. For the fans it will also be something completely new, since we have never done a setup like this before. They are going to be fun shows and they sold out very fast, some within half an hour, which was amazing. We specifically wanted to organize small shows, however, a main tour will be in the fall so all the fans can join for bigger shows. Q: Was there a specific direction you wanted to go with ‘Jomsviking’? Olavi: It is our very first concept album and all the songs are connected to each other. This time around we were talking about making an album with a different approach. We wanted to make something similar to a movie and Johan Hegg (vocalist) came up with ‘Jomsviking’. He had this idea for many years and we could finally put this together. The entire album all together is made like a movie. It actually felt like making a puzzle and the band working this closely together as a unit was unique. Q: Is there a specific part of the Jomsviking saga that inspired you to base an album on? Olavi: It is based on the saga, but our main character is pure fiction made up by Johan. From the storyline of this, we chose specific parts and made songs of these sections to capture the right music fitting to the lyrics, so this was a completely new experience. We needed to discuss a lot about what we should do exactly, while on older albums we came up with the material first and that was fine. Q: The Jomsviking code entails rules that forbid one to speak badly or insult or fight with each other, breaking these rules means exclusion. Would/Do you live according to this in real live, or follow the code in some fashion? Olavi: Haha, no I live my life by my heart and do not follow any code. I might be very traditional in right and wrong and that everything needs to be fair. I am living live the way it goes. Q: On this album there is collaboration with Doro Pesch, putting in a first time clean singing in Amon Amarth. What made you decide this? Olavi: For the song we needed a female vocalist, something we already knew when planning the album. Because we needed a female metal vocalist, we decided to look at who the queen of metal is and that is clearly Doro. We recorded and planned in the studio for several days and she is amazing in every way, musically and personality. We all grew up with her in Warlock so we felt like fanboys being able to work with her haha! Q: With a new tour coming up, is there anything special you would like to experience with the new shows? Olavi: We are going to incorporate much more theatrical aspects during a live show. We will start with this in the U.S.A and then continue with this in fall in Europe. Some of this will be based on the new album but also old aspects will be taken in that we have mentioned for years on older albums. This is the perfect time for this, since we have grown as a band and there are more opportunities to perform bigger and better shows. More than just banging your head, but an actual show. We will have some nice surprises for the fans and they will notice this on the tour and the fans should experience this live, not on the internet! We want to go backwards in time with this tour, so no screens or LED. That is not our style and we want to do it in the 80’s like style, with actual props being present in the show. Q: Other than that, anything else planned for these gigs, maybe even having a guest performance with Doro? Olavi: Nothing yet, but if we are booked there is nothing saying this couldn’t happen. We will see when it will happen and at some point this could be the case. Q: Is there any other collaboration you’d like to do in the future? Olavi: We are having some ideas yes, but we aren’t sure yet what is going to work, so I can’t really elaborate on this. We have some new ideas that require different vocalists or different guitar players and we are willing to try this out, since we are not strangers to this. With asking Doro we had the perfect setting, making this an optimal time. Q:Playing a festival is different than a concert, do you prepare it differently or do you have another mindset? Olavi: For me it is the same thing, whether it is a small bar with 10 people or a festival with thousands of people, I prepare the same way for every show. A festival is much different than a club, because there is more contact with other bands and friends. But during a tour you’re stuck in the bus and the people you are directly working with. Q: Looking back at ’92, would you ever think you’d end up here? Olavi: Absolutely not. We started the band escaping life and drinking beer hoping to get a gig, but it is crazy how everything went for us. We are also happy that our process took us many years and we took this step by step and stayed sober. We can’t take it easy anymore, we continue wanting to work hard and keep everything up. The best thing in our band is that we are still close friends and enjoy each other’s company and working together, which is the key for success. 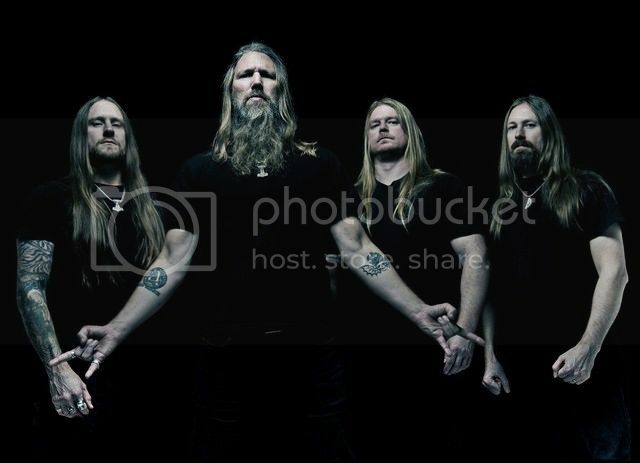 We have noticed that some bands while getting bigger, they did start to relax also leading to the band not doing this great anymore and this is something we do not want for Amon Amarth. Q: The band is getting bigger, does that give you more pressure from fans/label? Olavi: When you start from the beginning you will feel the pressure, because you have no idea how your ideas will turn out. However as soon as you have a good concept and know it will be great you can relax, because the pressure seems to be gone. This combined with that we all know we can fully rely on each other makes us not worry. We won’t even mention ideas that will not be good enough, we have a fairly high standard for making an actual song. Q: Have you have any negative experiences in the whole process during all these years of Amon Amarth? Olavi: From fans we have never had a negative experience; they are there because they are here for the band. So the people that do not like us will not approach us. From the industry we had ups and downs, but that is the way life is too. You just have to move on from bad experiences and we have grown into a very strong unit as Amon Amarth. We have faced this all together and we advanced together as a band this way. Q: In your biography, it is also mentioned that the band wants more. Anything you want more on personal level? Olavi: I am very humble and happy with where we are and I just want to continue in what we do and maintain our friendships. I’m lucky that whatever I want to do musically, I can do within Amon Amarth so there is no need for a second band for me to express other musical ideas. This is what I truly love so I’m satisfied! Q: Anything else you’d like to say to the Dutch fans and the readers of Metalkrant? Olavi: Absolutely! For the fans that can’t visit the release shows, no worries! We will be back in November with an amazing show and we will see you all there!! ‘Jomsviking’ is op 25 maart verkrijgbaar! Pre order de CD hier!